U.S. Sen. Ted Cruz is increasingly at the center of efforts in the U.S. Senate to overhaul the Affordable Care Act. 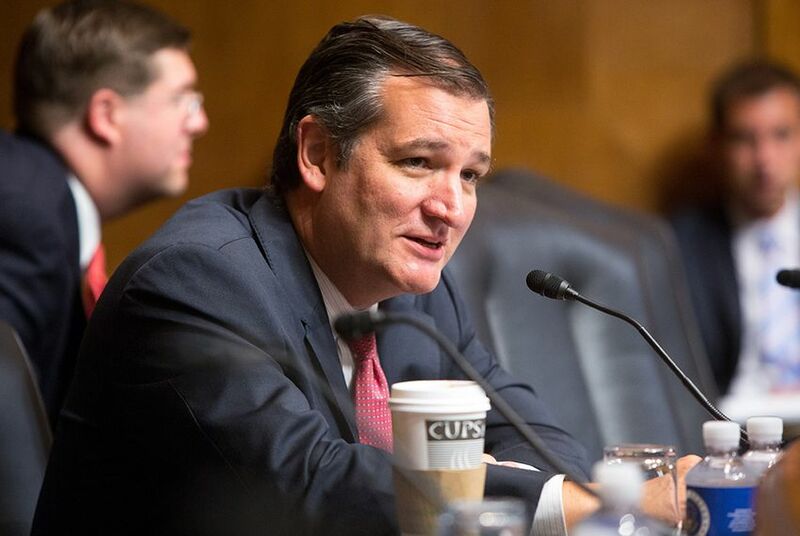 Some conservative activists are hoping Cruz can help move the bill to the right. The Republican attempt to reshape the nation’s health care system has grown increasingly dependent this week on the fragile alliance between Senate GOP leaders and a man they have clashed bitterly with for years: U.S. Sen. Ted Cruz, R-Texas. Senate leaders are struggling to build conservative support for their emerging bill, with GOP aides and senators voicing growing skepticism that hard-right Sens. Rand Paul, R-Kentucky, and Mike Lee, R-Utah, can be convinced to back it. Conservative organizations, meanwhile, are complaining that Majority Leader Mitch McConnell, R-Kentucky, is offering proposals that would not sufficiently dismantle the law known as Obamacare. But Cruz, after building a national brand stoking tensions with McConnell and his top deputies, is, in his own words, trying to “get to yes.” The former presidential hopeful has spoken positively about the negotiations, which he helped kick-start. His investment in the talks has generated cautious optimism among many Republicans that he won’t walk away from a delicate effort from which McConnell, with a 52-seat majority and Vice President Pence as a potential tie-breaking vote, can afford only two defections. Cruz’s current role is one few would have predicted a just a couple of years ago for a man who once called McConnell a liar on the Senate floor, and who, from his earliest days in the Senate, set aside the chamber’s customary politeness and built a foundation for his 2016 presidential bid centering on fighting the political establishment. “I’ve seen him come along and be pretty constructive,” said U.S> Sen. Orrin Hatch, R-Utah, who has been a Cruz critic. Some Cruz associates said that opposing a repeal bill would be very difficult for him to defend with his political base as he gears up for reelection in 2018, and that he has come under pressure from donors to collaborate more with his GOP colleagues. At the same time, some conservative activists are hoping Cruz can help move the bill to the right. For Cruz, the looming dilemma is the same one confronting many conservatives who, like him, rose to prominence during Barack Obama’s presidency in part on the promise of ripping up his Affordable Care Act: Is it better to accept a final bill that falls short of the forceful repeal they have long championed, or walk away from it? The dueling forces came into sharper focus Tuesday afternoon, when Cruz and other GOP senators participated in a health-care meeting with President Trump at the White House. At the Capitol, McConnell was expected to deliver more clarity and options to Republican senators on the bill that is taking shape. Leaders are racing to try to hold a vote as soon as this month, with some eying next month as a more realistic goal. Meanwhile, the contours of the Senate bill are slowly emerging. Last week, McConnell proposed a more gradual rollback of the expansion of Medicaid than a bill that passed the House, as many GOP senators have advocated. He also proposed maintaining some protections under Obamacare for people with preexisting conditions, another departure from the House bill. That last possibility, however, worried some conservative groups. “The picture that was painted publicly is one of discussions that are moving further to the left,” said Dan Holler, vice president of communications and government affairs at Heritage Action. The mood of the negotiations is not very upbeat, Republicans familiar with the talks said. McConnell has presented ideas in closed sessions and has closely guarded the Senate’s plans in hopes they will not leak to critics or the media. David McIntosh, the president of the conservative group Club For Growth, recalled a conversation with Cruz last week in which he said the Texan’s message was “we’re making progress, hang tight” and “you’ll be happy” with the final product. Those close to Cruz say his willingness to negotiate with GOP leaders is borne in part out of political necessity. Mica Mosbacher, a fundraiser who helped raise money for Cruz’s presidential campaign, said Cruz was at risk of losing support from benefactors who worried about his combative posture. “Donors want team players who unite, not fracture our party,” she said. Cruz, unlike Paul and Lee, faces reelection in 2018 and is potentially vulnerable to attacks that he has spent his first term fighting with colleagues and running for president rather than delivering for his state. He has been a louder Obamacare critic than most Republicans, embracing a fight against the law that led to the 2013 government shutdown. For those reasons, his allies see few upsides to opposing the Senate repeal bill even it’s less than ideal. Voting no would be difficult and complicated to convey to the conservative base he needs to turn for him, some say. One potential stumbling block for Cruz and other conservatives is the increasing possibility that GOP leaders will not repeal all of the Obamacare taxes. Rank-and-file members have frequently discussed keeping or simply delaying some of the taxes to help pay for such costly programs as banning insurers from charging more for patients with preexisting conditions and extending federal payments to states who accepted Medicaid expansion under the ACA, according to several GOP aides familiar with the talks. Several senators have suggested that the GOP bill should keep at least some of the taxes, perhaps even including the widely-panned tax on high-value employer plans known as the “Cadillac tax.” The logic, according to aides, is that senators could delay the implementation of some taxes or promise to repeal others later, when they take up their next big agenda item, tax reform. But GOP leaders do not have a clear path forward on tax reform, and conservatives are anxious about leaving any of the ACA taxes in place. Other factors beyond Cruz could scuttle the Senate talks. Opposition by U.S. Sens. Lisa Murkowski, R-Alaska, and Susan Collins, R-Maine, to a measure that blocks funding to Planned Parenthood is among them.